Despite global efforts, natural and man-made disasters with major casualties have continued to make headlines in the mass media. Emergency management and preparedness have been the result of catastrophes, calamities, heightened risks, and newly identified threats that affect the population, economic stability, infrastructure, and national resilience. Recently, creating an emergency warning and response system that can minimize casualties has been a key concern for governments around the world. In Nigeria, with the establishment of a national and various state bodies that oversee disasters, there has been decrease in both casualties and economic losses from emergency or disasters. 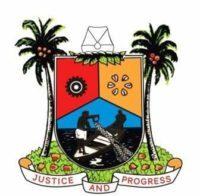 In Lagos, the State Emergency Management Agency (LASEMA) was established vide LASEMA Law 16 of 2008 for emergency and disaster management in the State in pursuance to decree 12 of 1999 as amended by Act No. 50 of 1999 which established the National Emergency Management Agency (NEMA). The Agency was statutorily charged to provide adequate and prompt response as well as sustaining intervention in all forms of emergency/disaster situations in the State within the territorial boundary called “Lagos”. It performs this onerous task through Emergency/Disaster prevention preparedness, mitigation, recovery and relief. The emergency situations LASEMA is statutorily empowered to respond to includes: Fire fighting (co-ordinate with fire services), Flood Control, Collapsed Building, Evacuation, Search and Rescue Operations, Environmental Pollution, Crowd control/cordon off affected areas, Public enlightenment on safety issues, Perform general life saving activities including provision of relief materials and to Clear and remove objects that constitute the carcass or remains of incidents. Lagos has been exceptional in terms of investment and achievements in emergency responses and this claim is evidence-based. LASEMA, in the last few years had responded to numerous fire incidents, road accidents, flooding, illegal parked trucks, gas explosion/emission amongst other emergencies in record time, thereby saving lots of lives and properties worth millions of naira. Lagosians can recall the unfortunate incident which occurred on Thursday, June 29, 2018 when a fuel laden tanker exploded on Otedola Bridge. It was a litmus test for LASEMA, considering huge investment by the current administration on the agency, but through coordination of all agencies concerned, LASEMA were able to minimize the impact. LASEMA was also key to record of no lives lost at the massive inferno which occurred at Abule Egba in Ojokoro Local Council Development Area of Lagos State at about 2:00 am on December 18, 2018 when some suspected oil thieves vandalized an NNPC pipeline. Today, one thing that is very clear is that LASEMA is optimally responding to the challenges of disaster management with improved emergency preparedness and responses. The current administration has repositioned emergency management in the state. In a bid to scale up emergency response and take the service closer to the people, the agency now operates via 4 centres from just one response unit. The present four response units are Command & Control Centre, Alausa, Ikeja; LASEMA Response Unit (LRU) Cappa Oshodi; LASEMA Response Unit, Lekki (by Lekki-Ikoyi Link Bridge) and LASEMA Response Unit, Onipanu on Ikorodu Road. There is still underway plan to establish additional three upgraded Dispatch Centres in Ijanikin by Adeniran Ogunsanya College of Education, Temu Junction, Epe and LASPOTECH in Ikorodu, as well as a fourth conventional LRU at Costain to cover Apapa Axis and its environs. Lekki Response Unit in particular was strategically located to facilitate quick response to emergencies on the waterways and for proximity to riverine areas of Lekki and environs. When people get trapped in vehicles during accidents and emergency responders are on ground at the emergency scene, the absence of equipment that would enable them to break into the affected vehicle to rescue the victims usually renders the whole rescue operation meaningless. This explains why the state government has not just decentralized the operations of LASEMA, but each response unit has been equipped with a new ultra-modern equipment (trucks, power bikes, heavy-duty vehicles and fire trucks, Mobile Intensive Care Ambulances and Light Rescue Equipment, and 14 new BMW Power Bikes for on-spot reconnaissance assessments of emergency incidents and to boost the sea, air and land capacities of the State emergency responders. The procurement of BMW Power Bikes have also been launched which are usually deployed at making on-spot reconnaissance assessments of incidents with a view to unambiguously determine the type and quantities of equipment to be deployed for a given incident and also to improve monitoring and surveillance. Power Bikes have been deployed to various locations in the State, making the agency to be proactive, hence, rather than wait for emergencies to occur; it has taken the step to dispatch the bikes to strategic locations across the State. Besides, the agency has also extended its response to emergencies beyond Lagos. In most cases, accidents along the Lagos-Ibadan Expressway stretch into Lagos, thereby affecting residents who work in Lagos but live in border towns including Magboro, Arepo, Kara, Ibafo, Mowe among others. To further strengthen emergency management, about 70 ad hoc staff of the agency was recently absorbed into the State civil service. Equally, a special allowance is paid to staff of the agency in order to get the best out of them. Another important segment in the strides of the present administration in emergency management is the drone system launched in 2017 to help in assessing accident scenes before responders’ arrival. Among other usefulness, the drones will help with medical supplies if the respondents run out of supply, especially in cases where recovery can go beyond 24 hours, for instance when a building collapses. Rightly, Lagos State government believes preparation through education is less costly than learning through tragedy. Recently, it launched a reality television programme to showcase the efforts and strategies of emergency management agency’s before, during and after rescue operations. The goal is to deepen safety of lives and property in the State. The programme, tagged ‘Lagos Rescue’, was designed to enlighten residents of their responsibilities during emergency situations. Residents can always take advantage of the programme which would be showing on Lagos Television every Sunday by 10:30pm, and also provide valuable feedback through the various social media platforms of the State Government. With the dialing of the agency’s toll-free numbers 112 and 767, Lagosians are today assured of a robust, effective and timely response. Through continued awareness and dedicated mitigation advancements, the effects of future disasters can be limited. It is, however, significant for Lagosians to continue to support the state government towards reducing disasters to the barest minimum by adhering strictly to all safety rules and regulations.